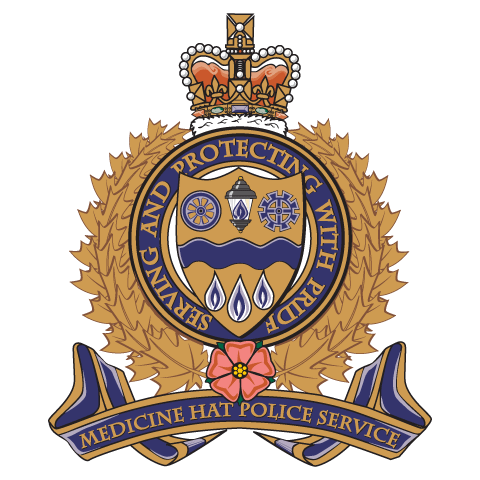 The first murder at Medicine Hat was reported on July 9, 1885. After a drunken argument about a horse race, Robert Casey was shot by Ben Hale at about 9:00 p.m. at the Cully residence, a site near the present airport. Commissioner Irvine reported the murderer had fled in the direction of the boundary line with saddle and pack horse. Being dark, it was impossible to follow him. The wounded man was carried to Medicine Hat where he died on the morning of the 10th. The United States posts along the boundary line were notified by telegraph of the route taken by the murderer. Sgt. Jones was dispatched to Benton, Montana, to get the murderer arrested by United States officials. Sheriff Healy knew where to find Hale but, being a practical man, would not interfere unless a reward was offered. Hale was therefore never apprehended. According to the version of the Cullys, corroborated by Ben Hold and told to Rev. J.W Morrow, a couple of cowboys, Hale and McCauley by name, stopped in for a meal after delivering cattle to a rancher at Finn Lake. Casey, a proprietor of one of the early hotels in Medicine Hat, was present and he and Hale became involved in a drunken argument over a horse race they had a short time prior. Hale drew his gun and covered Casey, ordering him to put his hands up. Casey replied, “If you are going to shoot, wait until I get outside”. When outside, Casey said, “shoot me on my horse”. Hale told him to mount up. Casey mounted with his back to the horse’s head and in a spirit of bravado, he bared his chest and looking Hale in the eye, told him to do his worst and shoot. The words scarcely died on his lips when a spurt of flame leaped from the barrel of the six-shooter and Casey tumbled over. Hale then went into the house with a gun in each hand. He started giving an exhibition of fancy shooting, knocking the lid off a kettle and finally hitting the pivot in the centre of the clock on which the hands went around. Saddling the best horse of two buckskins, he struck out south, ordering Cully to watch until he was out of sight before he went and reported to the Mounted Police.